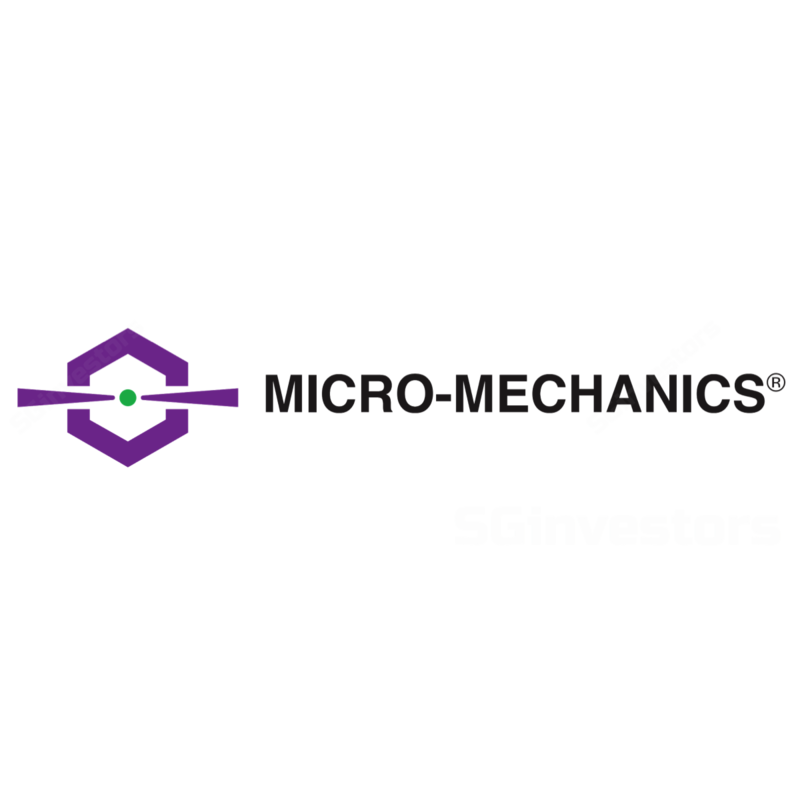 Micro-Mechanics (MMH) designs and manufactures high precision tools and parts for critical applications in semiconductor assembly and testing processes. Earnings jumped 23-27% YoY over 2Q-3QFY6/17 as turnover was buoyed by robust global chip sales since late 2016 to record levels in Jun 2017. Accordingly, it paid out higher interim DPS of 3¢ in 1HFY6/17 (FY16: 2¢, FY09-15: 1¢), with 4QFY6/17 results due to be released on 28 Aug 2017. Apart from improving operational efficiencies and gross margin steadily to 57% in FY16 (FY11: 46%), MMH prides itself for having an in-house design team (FY11-16 staff costs: 33-42% of sales) that has continuously met new tooling requirements, such as miniaturisation and nano-level precision, from more than 600 customers globally, including various bluechip names. The group is capable of producing tools for machines from different equipment makers, and has five facilities across Singapore, Malaysia, China, US, and the Philippines to cater to on-demand orders. MMH believes that it has limited competition and its consumable tools and parts provide sales resilience during industry down cycles relative to semiconductor capital equipment makers. Its growing net cash position and zero borrowings also serve as an added buffer. Yet, it is well-poised to benefit from structural industry growth, as more tools will be necessary to produce chips for the proliferation of connected devices. WSTS projected global chip sales to remain at record levels of around USD378-388b in 2017-2019. MMH trades at 13.6x trailing P/E, as compared to global industry peer average of 15.8x. Assuming FY16 final and special DPS are maintained in 4QFY6/17, MMH currently offers a relatively attractive dividend yield of 5.5%. MMH designs and manufactures consumable tools and parts used in the machines for assembly and testing of semiconductors. The consumables are mainly focused on the die-attach and wire-bonding processes, with requirement of up to nano precision level (eg. human hair is 100,000 nm). Other services include contract manufacturing of high precision parts and tools used in process-critical applications for wafer fabrication and other high technology industries. MMH has a global customer base, comprising more than 600 companies, including many of the world’s leading semiconductor producers and their supply chain companies. Founded by current CEO Chris Borch in 1983 as a one-man operation with a 500sf workshop in Singapore. Successfully listed on SGX-Sesdaq in 2003, and was subsequently upgraded to Mainboard in Jul 2008. Clinched Most Transparent Company award among small caps from Securities Investors Association in 2008-2011, 2015. Over the years, the group successfully set up manufacturing facilities in Singapore, Malaysia, the Philippines, China and US. FY16 sales from its five manufacturing facilities were led by China (27%), followed by Singapore (26%), Malaysia (22%), US (16%), and the Philippines (9%). In-house design team to cater to tooling requirements from a diversified global customer base of more than 600 companies. Possess own material centre that develops and supplies input materials for maintaining quality of tools and parts. Capable of producing tools and parts for various assembly and test machines spanning different equipment suppliers. Well positioned to structurally grow with global chipmakers through the on-going trend towards Internet-of-Things. Average capacity utilisation rose to 57% in 9MFY17 from 54% in FY16, with scope for improvement before hitting internal cap at 70%. No direct competitors with comparable product range, production scale, listing status and geographical coverage. Long healthy history in the business implies tool reliability that enhances appeal and stickiness among customers. Strong dividend track record of 3¢ in FY10-14, rising to 5¢ and 6¢ in FY15 and FY16 respectively. Highly recognised corporate governance and investor relation practices, which received numerous awards since listing. Trading at 13.6x trailing P/E, below global peer average of 15.8x, and offers an attractive dividend yield of 5.5% (global peers: 2.4%), assuming FY16 final and special DPS are maintained. Cyclicality risk – MMH is exposed to up and down cycles of the semiconductor industry, but the consumable nature of its tools and parts partly insulate its sales against the volatility of semiconductor capital equipment manufacturers. Foreign currency risk – ~50% of group’s revenue is denominated in USD, while costs are largely denominated in local currencies across its facilities globally. Apart from sales in the US (FY16: 16%), MMH attempts to hedge remaining USD revenue exposure via derivative instruments to reduce FX risk. Product risk – Potential defects or inferior tools and parts could disrupt customers’ chip manufacturing process. This may be detrimental to customer relationships and give rise to reputational damage.